Dieses Jahr werden global 41,5 Millionen Smartwatches verkauft. Weltweit 310,4 Millionen Wearables werden 2017 abgesetzt, so die Prognose des IT-Research und Beratungsunternehmens Gartner. Das ist ein Anstieg von 16,7 Prozent gegenüber 2016. Wearables werden in diesem Jahr Umsätze in Höhe von 30,5 Milliarden US-Dollar generieren. Davon werden 9,3 Milliarden US-Dollar von Smartwatches stammen. Insgesamt werden 41,5 Millionen Smartwatches bis Ende 2017 verkauft werden. Sie sind auf dem Weg von 2019 bis 2021 neben Bluetooth Headsets die meistverkauften Wearables zu sein. Für 2021 werden Verkäufe von fast 81 Millionen Smartwatches prognostiziert, 16 Prozent aller Wearables. »Smartwatches sind auf dem Weg bis 2021 das größte Umsatzpotenzial aller Wearables zu haben«, erklärt Angela McIntyre, Research Director bei Gartner. Egham, UK, 24th August, 2017 — Gartner, Inc. forecasts that 310.4 million wearable devices will be sold worldwide in 2017, an increase of 16.7 per cent from 2016 (see Table 1). Sales of wearable devices will generate revenue of $30.5 billion in 2017. Of that, $9.3 billion will be from smartwatches. In 2017, 41.5 million smartwatches will be sold. They are on pace to account for the highest unit sales of all wearable device form factors from 2019 to 2021, aside from Bluetooth headsets. By 2021, sales of smartwatches are estimated to total nearly 81 million units, representing 16 per cent of total wearable device sales. »Smartwatches are on pace to achieve the greatest revenue potenzial among all wearables through 2021, reaching $17.4 billion,« said Angela McIntyre, research director at Gartner. Revenue from smartwatches is bolstered by relatively stable average selling prices (ASPs) of Apple Watch. »The overall ASP of the smartwatch category will drop from $223.25 in 2017 to $214.99 in 2021 as higher volumes lead to slight reductions in manufacturing and component costs, but strong brands such as Apple and Fossil will keep pricing consistent with price bands of traditional watches,« she added. Apple will continue to have the greatest market share of any smartwatch provider. However, as more providers enter the market, Apple’s market share will decrease from approximately a third in 2016 to a quarter in 2021. 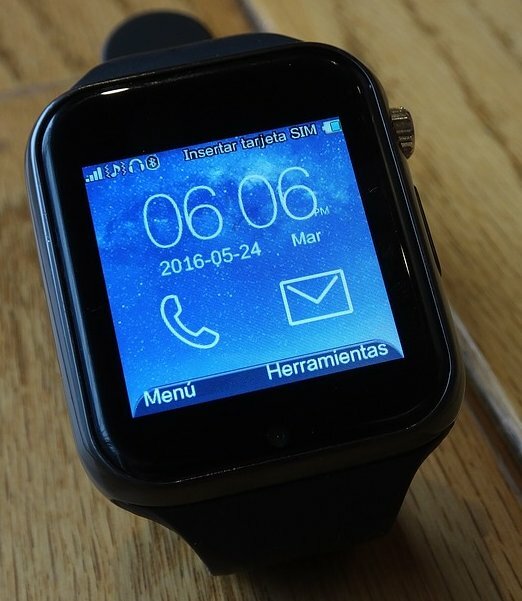 The announcement of a new Apple Watch expected in September may enable direct cellular connectivity for interacting with Siri, texting and transferring sensor data when the phone or Wi-Fi is not present. We expect other consumer electronics brands such as Asus, Huawei, LG, Samsung and Sony to sell only 15 per cent of smartwatches in 2021, because their brands do not have as strong an appeal as lifestyle brands for personal technologies. Two sub-categories that Gartner expects to perform well are kids‘ smartwatches and traditional watch brands, which will emerge as significant segments for smartwatches. Gartner expects kids‘ smartwatches to represent 30 per cent of total smartwatch unit shipments in 2021. These devices are targeted at children in the two to 13 year-old range, before parents provide them with a smartphone. The other sub-category, which will account for 25 percent of smartwatch units by 2021, is fashion and traditional watch brands. »Luxury and fashion watch brands will offer smartwatches in an attempt to attract younger customers,« said Ms McIntyre. A final sub-category is represented by the startup and while-label brands (e.g., Archos, Cogito, Compal, Martian, Omate or Quanta), which will account for 5 per cent of smartwatch unit sales in 2021. In 2017, 150 million Bluetooth headsets will be sold, an increase of 16.7 per cent from 2016. Sales will increase to 206 million units in 2021, meaning Bluetooth headsets will remain the most sold wearable device through 2021. The growth in Bluetooth headsets is driven by the elimination of the headphone jack by major smartphone providers. »By 2021, we assume that almost all premium mobile phones will no longer have the 3.5 mm jack,« said Ms McIntyre. Head-mounted displays (HMDs) account for only 7 per cent of all wearable devices shipped in 2017, and will not reach mainstream adoption with consumers or industrial customers through 2021. »Current low adoption by mainstream consumers shows that the market is still in its infancy, not that it lacks longer-term potenzial,« said Ms McIntyre. Near-term opportunities for virtual reality HMDs among consumers are with video game players. Workers will also use them for tasks such as equipment repair, inspections and maintenance, but also in warehouses and manufacturing, training, design, customer interactions and more. Theme parks, theatres, museums and sports venues will purchase HMDs to enhance the customers’ experience in interactive attractions or movies, and add information and supplemental images at sporting events. Additional analysis on driving digital business transformation will be presented during Gartner Symposium/ITxpo 2017 in Barcelona from 5-9 November. The event is the world’s most important gathering of CIOs and other senior IT executives. IT executives rely on these events to gain insight into how their organizations can use IT to overcome business challenges and improve operational efficiency. Follow news and updates from the events on Twitter using #GartnerSYM. Verbraucher interessieren sich kaum für Wearables und Co.